Cameron Syme founded the Great Southern Distilling Company in 2004 and had spirit flowing in 2005. Since we last tasted Limeburner whiskey in Oct 2016, another distillery has been added to the distillery portfolio. They now have Great Southern, Margaret River and Porongurup. They produce all types of spirit. 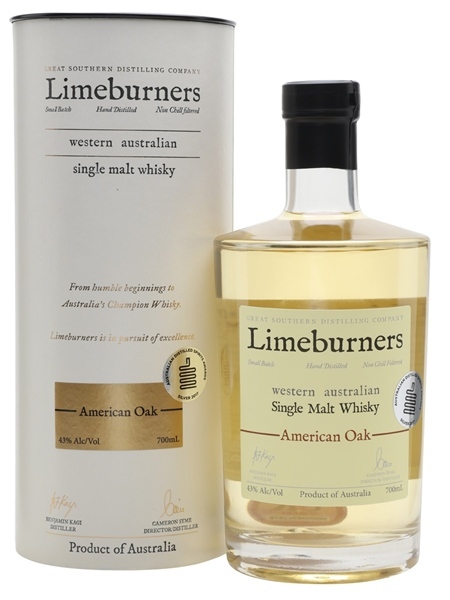 This one is Limeburners American Oak, made in Albany by the Great Southern distillery. It is small batch, non-chill filtered and by the looks of it, natural colour. It has been matured in ex-bourbon refill barrels. A very young whiskey bottled at 43% ABV.